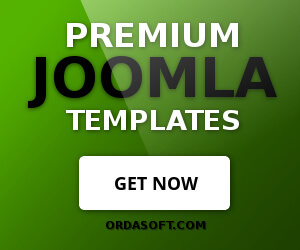 OS Simple Membership - Joomla subscription extension includes 10 different layouts for showing pricing and packages of your services or creating amazing subscription plan for your users. 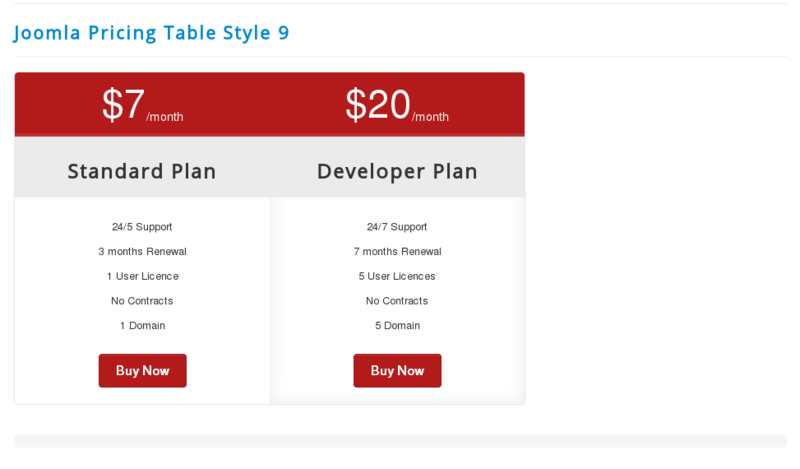 You can check out Live Demo of 10 Joomla Pricing Tables and choose any layout for your Joomla website or create a pricing table yourself based on OrdaSoft HTML pricing tables. HTML layouts allow you create a fully customizable, mobile responsive Pricing Table or Subscription Plan without writing any code! No programming or coding - just copy, paste and get ready-made solution for your Joomla website. 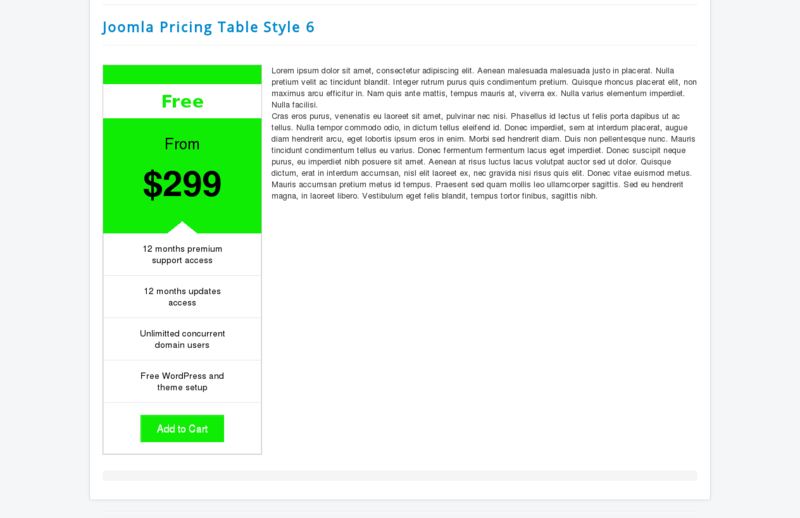 HTML pricing tables come with a lot of customizable parameters: font, colour, links, etc. 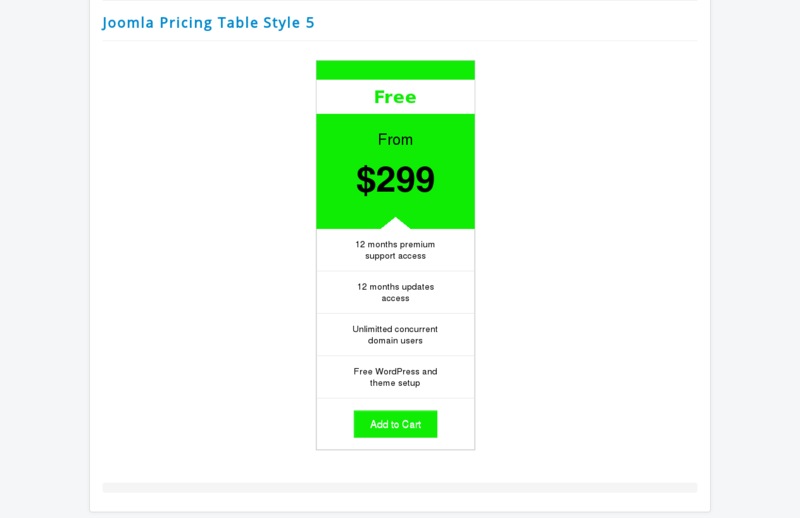 Joomla pricing tables well documented and come with Free support from developers. HTML layouts are cross browser compatible and work on all the modern browsers. 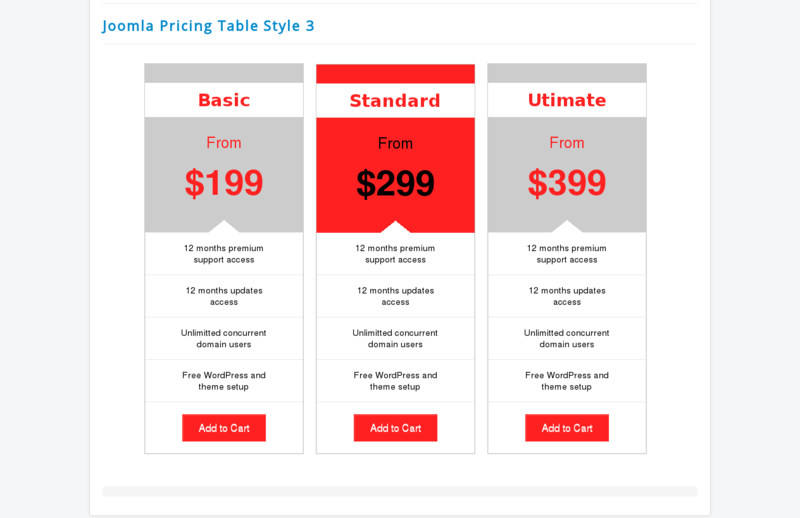 You can download for FREE 3 columns Joomla Pricing Table or get 10 awesome Subscription plans (Joomla pricing tables) in Pro Simple Membership package. 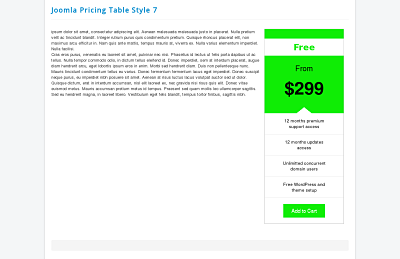 This html pricing tables are cross browser compatible and works on all the modern browsers. 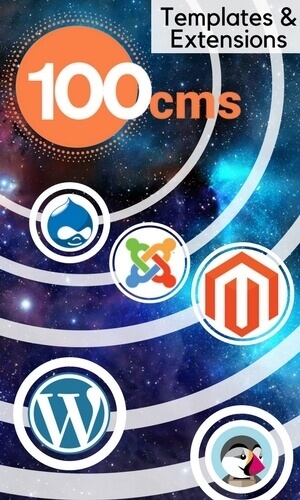 They come with OS Simple Membership - joomla subscription extension and works great! Compatible with Joomla 1.5.x , 2.5.x , 3.x.x. The Downloads Access and Extension Support is valid from the date of purchase of Simple Membership. 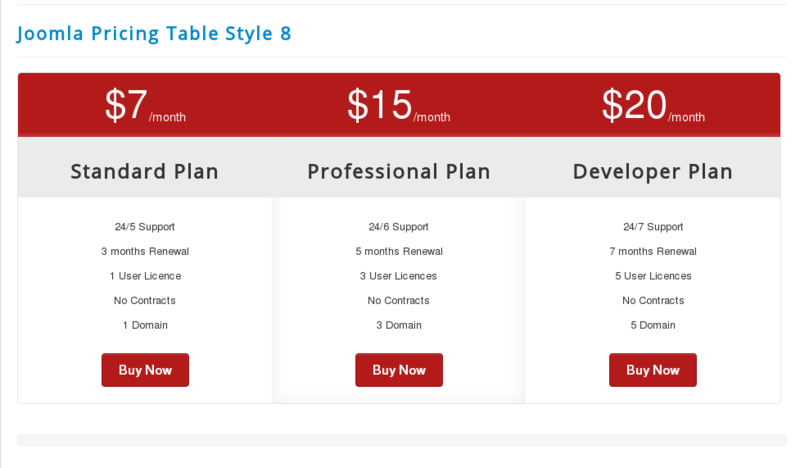 Buy Simple Membership and get 10 amazing pricing tables. 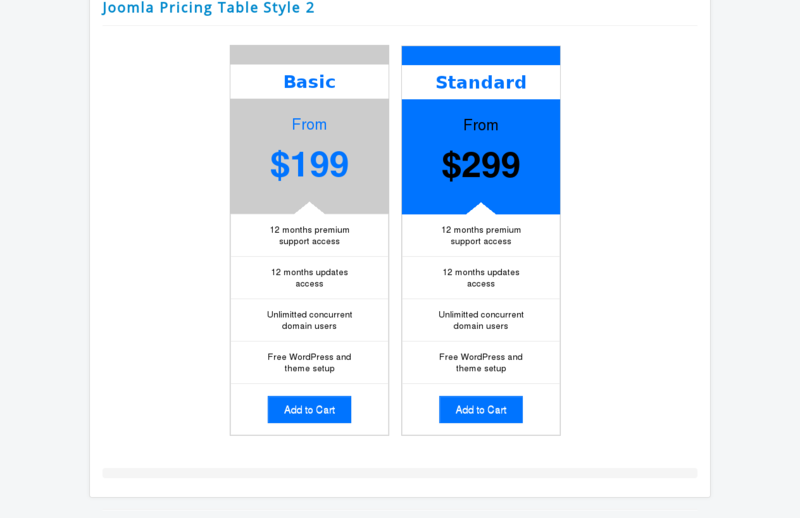 You will can use HTML pricing tables for show pricing and packages of your services, You can use in your pricing table template. 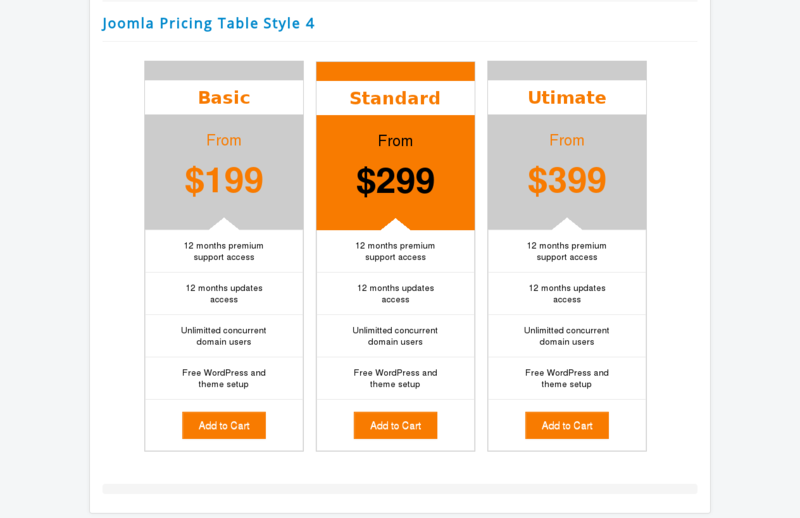 We have created pricing tables with help HTML and CSS to make your Joomla website more flexible. 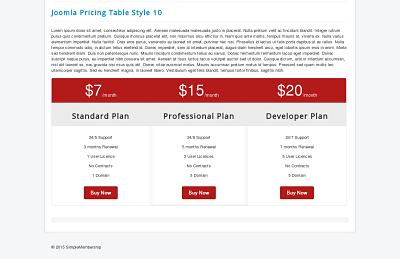 Don't miss such opportunity to improve your website with help our Joomla Pricing Tables. Just copy, paste and start to use. 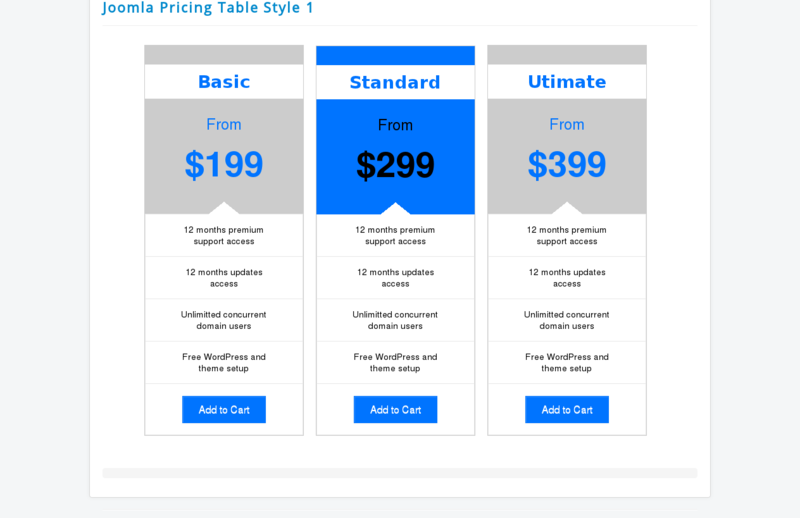 If you face any problems, please contact us through our contact form and our team help you to choose subscription plan (Joomla pricing table).